Here are a few recipes ideas to bring a taste of Scandinavia home this winter – from warming soup to cinnamon buns. Warm up with some hearty, savoury Scandi-fare – perfect for brunch or lunch or try a taste of something sweet with recipes for traditional yeast buns and gingerbread. Beat the flour, egg and milk together to make a smooth batter and add the salt. Peel the potatoes and grate them. Don’t use new potatoes as they don’t have enough starch to hold the pancakes together while they’re cooking. Mix your grated potatoes into the batter, then fry small patties in butter until golden brown on both sides, being careful not to spread the batter too thickly. Fry the pork (or bacon) until crunchy and serve on top of the pancakes with raw stirred lingonberries. Rinse the split peas in cold water and leave to soak overnight. Drain them and put them to one side. Put the ham hock in a pan and cover with water. Bring to the boil and simmer for a couple of minutes to remove any excessive saltiness. Turn off the heat and discard the water. Heat the oil in a large pan and add the celery, onions and dried herbs; cook for 10 minutes, stirring occasionally until soft but not coloured. Next add the peas, ham and stock and heat until simmering. Skim off any foam off the top and simmer with the lid on for 50 minutes. Use tongs to pull out the ham and move it to a chopping board. Shred it up, discarding any rind and fatty pieces. Roughly mash the peas with a potato masher, then stir the shredded ham back into the pan and the fresh thyme and/or marjoram. Season to taste and seve with with knäckebröd (rye crispbread). Traditionally in Sweden this soup is also served with individual dishes of a good Swedish mustard, which is slightly sweeter and less hot than English or French mustard. You dip your spoon into before having a spoonful of soup. Preheat your oven to Gas Mark 6 / 220 degrees. To make the dough, gently warm the milk (don’t let it boil) then pur into a bowl with the yeast and stir until it dissolves. Add the butter, sugar, salt, cardamom, egg and mix well. Gradually add about 800g of your flour to make the dough combine – keep the rest back for kneading. Work the dough until it just stops being sticky then leave it to rise for 30-40 mins. Once your dough has doubled in size, add the rest of the flour, cut the dough in half and roll the first half into a rectangle 35x45cm. Spread butter generously across the surface, sprinkle with cinnamon and sugar then roll tightly length-wise and place on a baking tray – repeat with the other half of the dough (on a second baking tray). Using scissors, snip across the width of your rolls at regular intervals (about 3cm apart) slicing almost all the way through. Gently spread each piece away from the centre to alternating sides and press down slightly so that the swirls show between overlapping segments. Leave to rest/rise for another 20 minutes. Brush with remaining egg and sprinkle with sugar before baking for 8-10 minutes or until golden brown. Cool under a tea towel (slightly damp works best) to keep the buns moist. Sieve the flour and mix in the baking soda until well-blended. Gently combine the sugars, molasses, spices and water in a saucepan and heat while stirring. Add the chunks of butter and remove from heat, stirring continuously until the butter is melted. Transfer the mixture into a large bowl and stir in the flour mixture to form your dough. Shape the dough into a ball, wrap in clingfilm then foil and leave to chill overnight in the fridge. When you’re ready to bake, pre-heat the oven to gas mark 5 (190C) and allow the dough to return to room temperature for around 30mins and grease/line a baking tray. 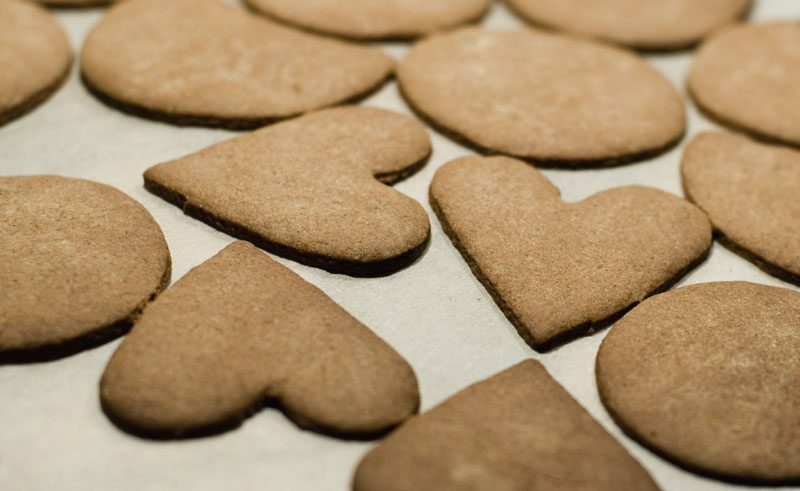 Roll out your dough on a lightly floured surface to your desired thickness (thinner dough will give your crisper biscuits, and is traditionally how these biscuits are made) and use cookie cutters to cut out individual shapes. Bake for 10 minutes (or until golden brown) and leave to cool on a wire rack. 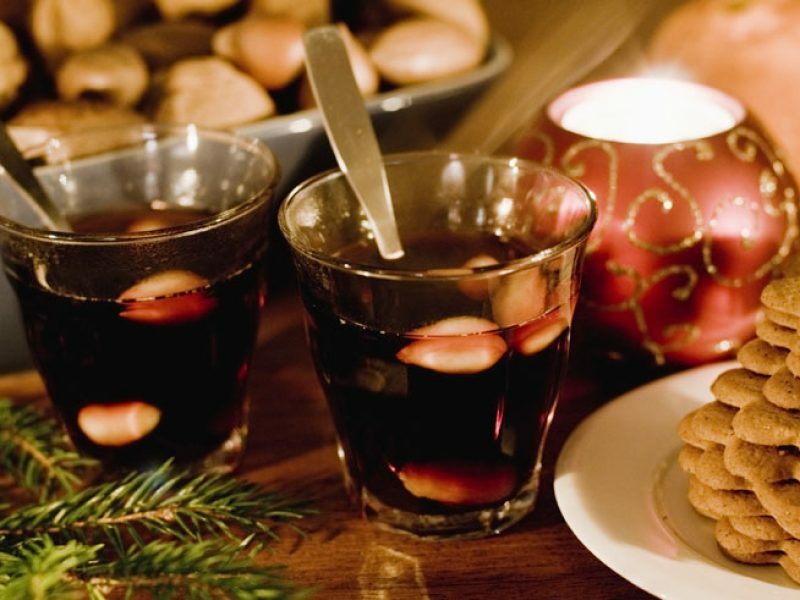 There’s nothing more festive than a glass of mulled wine, Scandi style. Add all the ingredients to a pan and heat gently and simmer for around 45mins – don’t let the mixture boil. Strain the mixture to remove all additions and serve hot. Add more raisins and almonds once served if you prefer. Planning a visit to Scandinavia this winter? Check out our holidays to Sweden, Norway and Finland – and don’t forget you can still spend Christmas at the Icehotel.